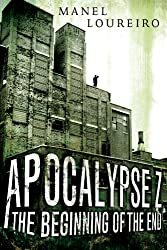 Rick Yancey is the author of the excellent Monstrumologist series which I love, but I staved off reading this new series, mostly due to my ‘post-apocalyptic / dystopian books’ fatigue. But the sequel has been released (The Infinite Sea: The Second Book of the 5th Wave), so it was time for me to dive in! The 5th Wave is about a hostile alien invasion of earth, and it starts out really creepy, with a ‘being’ visiting a sleeping pregnant woman and ‘inserting’ an alien consciousness within the fetus. Then, the countdown begins. (cue the music). The book starts up again after the so-called ‘4th wave’ of the invasion, and is told mostly from the point of view of shell-shocked teenager Cassie (who fears she is the last person on earth). To my surprise, I found that I liked Cassie (I usually don’t like the YA heroines I’ve read so far). She had all the irritating teenage girl qualities (especially her tendency to moon over good-looking boys), but I don’t know – Rick Yancey managed to wrap her up in teflon or something – I was really rooting for her. I liked her sarcasm, guts and never-say-die attitude. I suspect though that part of why she didn’t wear out her welcome was that Rick Yancey, (wisely) chose not to tell the entire story from her POV. The 5th Wave is also told from the POV of a teenage boy nicknamed Zombie, who has been conscripted into a ‘child army’ – whipped into fighting shape ostensibly to defeat the elements of the ‘4th wave’ – the ‘alien-infested’ humans who are busily wiping out what’s left of humanity after the previous ‘waves’. Zombie is the leader of a rag-tag squadron, whose littlest member is (coincidentally) Sammy – Cassie’s little brother. And more coincidence (! ), Zombie happens to be Ben Parish – Cassie’s unrequited crush back in her previous life. But the requisite teen romance (because there has to be one – it’s like written in law or something) in The 5th Wave isn’t between Cassie and Zombie. Mysterious good (or bad?) guy Evan rescues a wounded Cassie, and they quickly fall in love while Cassie is recuperating under Evan’s care. Personally, I found Evan to be stalker-ish (even Cassie commented on this), but apparently, all that laser-beam intensity is an irresistible quality in a man. (Example – My girl friends who have read the book are in love with Evan – insert eye-roll here). The 5th Wave ends strong with good action sequences AND on emotional cliff-hangers (the fate of one main character up in the air, other characters may be mortally wounded), so I’m darn glad that I already own book two! The 5th Wave by Rick Yancey (Putnam Juvenile/Penguin Group) is available on Amazon and other bookstores. Human Remains by Elizabeth Haynes was featured as a Kindle Daily Deal, and after reading the book description (see above), I had to read it. I read about cases like these occasionally (about bodies being found after weeks/months of no one missing them) and I’ve always thought about how sad that was. That someone could be so cut off from everybody around them that they die alone and no one notices. In this crime thriller, analyst Annabel makes the disturbing discovery that in her hometown, the number of such cases are off the roof. Surely, that isn’t natural, is this a sign of something wrong with her town in general or is someone responsible? Ms Haynes chooses not to keep her readers in the dark, and in alternating chapters, she gives voice to the man responsible (Colin – a sick man with an obsession for death) and his ‘victims’. For a ‘thriller’, Human Remains is a slow read though; nothing really exciting happens until near the end (and that’s only because Colin decides to deviate from his MO and does a really stupid thing). Annabel is also a tricky kind of character; she’s so mousy and depressed and had such a victim-complex that I got really frustrated with her character. She was the perfect prey for Colin, though, so I get that was why the author wrote her that way. Human Remains tells a really compelling story though – it’s disturbing (Warning: there’s explicit description on decomposition that might gross out some readers) and grim and I did like the psychological aspects of it, and what the author was trying to say about alienation and depression in modern society. I mean, it’s definitely different from the usual crime thriller books I’ve read. I have no plans for re-reading this one though (it’s just not that kind of book). So, if I were you, I’d suggest you borrow this if possible. If you are interested in making a donation towards Typhoon Yolanda relief, please visit the Phil. Nat'l Red Cross at http://t.co/pQk2UDGXk6. Typhoon Haiyan (Yolanda) is the strongest tropical cyclone worldwide this year. It’s the 25th storm to hit the country just in 2013, and this one was a category-5 super typhoon. I heard that in just Tacloban City (Where they were hit by storm surges up to seven meters high), the death toll may go up to 500. So sad.